The next two lines are the steps the function will do. The first one creates a variable called myNewName and sets it equal to a value. The browser window will try to get this value using its prompt method, a built-in function it knows how to do, that involves popping up a text box for you to fill in. In the next line it goes into your HTML document and uses getElementById, a built-in function it knows to do, to locate your user-name span. 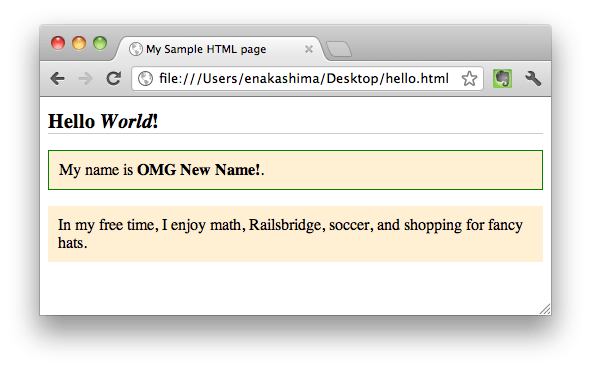 It then sets the span's HTML contents to the value of the variable myNewName. closes the replaceName function you started defining in the first line. The final line tells the browser, 'When I click the document, run the function called replaceName.